The Vectrix Scooter Is Different in Almost Every Way from a Traditional Gas Scooter/Motorcycle. 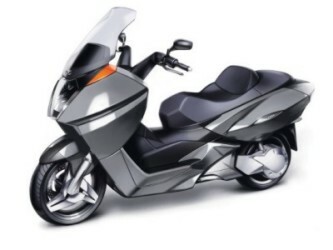 The innovative design of the scooter focuses on achieving extended range and high performance through weight reduction, digital circuitry, low aerodynamic drag, and minimal friction. The Vectrix scooter incorporates relatively few parts (250 vs. 2,500 for a gas scooter), resulting in reduced production costs and minimal maintenance. Retail Price $11,000, not including tax, registration, freight or delivery charges.